You’re determined to stay strictly to your eating plan and be consistent with your nutrition but there’s one problem: sugar cravings. When they strike, it would seem like all your will power goes flying right out the window. What’s a girl (or guy) to do? Whether you crave ice cream, some patisserie treat or you get sucked into the children’s sweetie draw (I’ve heard there is a legit magnetic-force effect at play here on occasion), sugar is a big issue for many women. How can you overcome this? First you need to understand why you crave sugar and once you understand that, you can start looking into ways to combat these cravings head on – ways that don’t involve finding ‘suitable replacements’ because let’s face it, there are none. Did I say I wouldn’t sugar coat it? (Unavoidable pun, sorry. I was really excited about dropping that one). Why is it that you crave sugar in the first place? When we think about cravings, we tend to associate sugar cravings with women and meat cravings with men. Most men desire a thick juicy steak when they sit down for a cheat meal (that’s my story and I’m sticking to it). You? Steak is the last thing on your mind. You’re all about the sweets – that’s what you’re dreaming about. Why does your body wants these foods? What’s behind those cravings? Here are three things that may be going on. One of the most common reasons you may be craving sugar is because your blood glucose level is starting to drop. Men, in general, tend to do a better job of getting their calorie needs met. They aren’t perpetually in a state of lower calorie eating like many women are, so they don’t suffer from this problem quite the same as they more frequently have higher calorie loads (Avena et al., 2008). If you’re ‘starving’ yourself in an effort to ‘diet’, firstly, come on you know better than that, yo. My anti-diet stance is a topic for another day perhaps but in this context, if you are constantly calorie-retricted, your blood glucose levels will frequently be low. When this happens, your body is going to do whatever it can to get those levels up higher again. Maintaining optimal blood glucose levels is a high priority to keep your health in check. Your body tightly regulates this and has ways of going about it. One such way is getting you to eat sugar-rich foods, the most immediate way of combatting the low blood sugar. These foods are broken down quickly in the body, which then sends blood sugar levels up higher, accomplishing the objective your body set out to achieve. The second reason you may crave sugar is because your brain needs a boost. Here’s something you may not know: sugar is associated with the same feel-good hormones that some recreational drugs are associated with. You’ve likely heard (hopefully not experienced!) how addictive many drugs are. Well, sugar in a sense can have similar implications and in many ways, is a drug. When you consume sugar, your brain is going to release a neurotransmitter called dopamine, which puts you into a feel good state. This neurotransmitter helps you feel relaxed, calm, and helps ease any stress you may be dealing with. Who doesn’t want to feel that way? You experience this sensation and your brain quickly learns that when you are feeling down, stressed, or anxious, sugar is a quick solution. Once this connection is formed, consider yourself hooked. In some cases, your sugar addiction may be a physiological response taking place, not just your taste buds demanding their favourite foods. Finally, the last reason you may crave sugar is because you’ve come to associate it with positive things. Think back to happy times in your life – be it childhood birthday parties, early dates with your significant other, or other times you greatly enjoyed yourself. What accompanied that enjoyment? Often, it’s sugary foods. This forms a connection in your brain and now, anytime you want to feel those same emotions, sugar may be what you turn to. 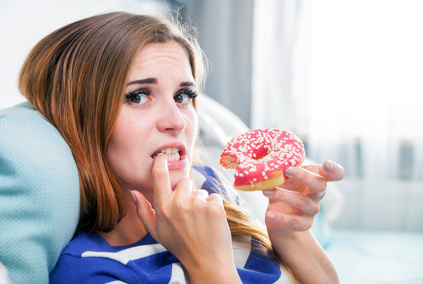 Now that you know why you may be craving sugar rich foods, how can you get past these cravings? Here are a few things you can do to tackle them head on. Essentially, avoiding low blood sugar helps avoid cravings, to put it simply. Your body needs energy, it doesn’t need refined sugars per se. So, eat more frequently. As long as you keep your calorie intake in check on a day-to-day basis, regular meals help to manage blood sugar, combat hunger, and help you feel less sugar-deprived (or, more accurately, energy deprived). Who doesn’t want to end that feeling of deprivation? Come up with some fun and delicious mini-snacks to eat. These should be around 150-200 calories at most so that you keep your calorie intake consistent and it encourages further feeding 2-4 hours later. Whilst eating plans can encourage an ‘on/ off’ mentality which psychologically is not conducive to nutritional habit change in the long-term, there is a time and a place for focusing in and sticking to a ‘programme’. Most successful ‘eating plan’ programmes include two to three mini-snacks per day, in addition to two to three 350-450 calorie meals. 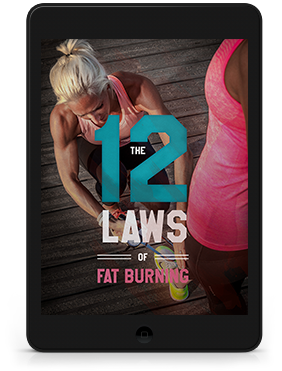 This format is my preferred method of meal-plan establishment, as it allows for maximal fat loss success (if that is indeed the goal) in over 95% of cases – and importantly sees sugar cravings fall by the wayside. Keeping a protein and/or veggie element to each mini-snack ensures optimal thermogenic effects and satiety, by blunting the insulin peaking effects of said snack. Many women mistake thirst for hunger and sugar cravings. You must avoid this, as it’s the easiest thing to forget but the easiest thing to avoid. But the recommendation to drink 8 glasses of water per day is well, boring. Water gets bland really fast. Liven it up. 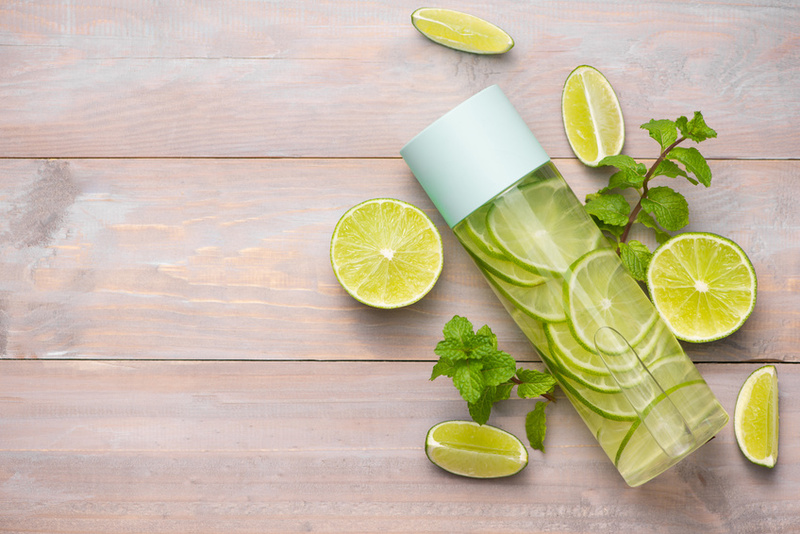 Get a large bottle of sparkling lemon water (unsweetened) and add a few raspberries a slice of fresh ginger and a lime slice (or two, go crazy!). Let stand for an hour in the fridge and you’ll soon be looking forward to drinking more fluids. This might seem like a really basic recommendation but believe me, its the basics (i.e. hydration) which are the most important. Stay hydrated. Even if you’re craving sugar, drink water first (make it enjoyable) and then rethink the sugar craving. I bet you what you like, that the sugar craving has diminished. Try adding two teaspoons of glutamine to your water once a day and this will further decrease cravings (and enhance muscular growth and recovery – bonus!). Cinnamon is, well, awesome! Not only does it give off a slightly sweeter taste, but it’s also going to help to control your blood sugar levels better, reducing your chances of sugar cravings and lowering the relative glycaemic effect in carbohydrate-containing meals. One study published by the Journal of the International Society Of Sports Nutrition noted that when prediabetic subjects supplemented their diet with a cinnamon extract for a period of 12 weeks, the supplementation group not only saw decreases in fasting blood glucose (indicating better blood sugar control), but also noticed a small but statistically significant decrease in body fat as well. The moral of the story? Add cinnamon to everything that you can. Get creative and you’ll find ways to incorporate it into your diet – and you may just find a few new delicious favorite recipes as well. Okay, I know I said no silly substitutions, but bear with me here, these ones taste like the real deal. I borrowed the first one from Dr John Berardi (Precision Nutrition) a few years ago. The second one is a result of my own ten-year experimentation project for the ultimate protein shake. Whilst the first one is ridiculously tasty and is, well, ice cream (hmmm ice cream), mine is arguably the ‘healthier’ version (maybe I’m biased). Place all the ingredients in a VitaMix blender* and blend, starting at a low speed and ramping up until you get to the top speed. Once there, flip the switch to high and begin tamping the mixture. Do this for 30 seconds and then remove and scoop into bowls. Voila! You have what is just as good as the real deal – without the massive sugar hit (and with massively added smug-factor). And, yes it tastes like actual ice cream with about one fifth of the calories. * If you don’t have a VitaMix blender, you can just blend this using a regular blender but note that you may not get quite the same consistency and it’s aaaaalllll about the ice cream here (imho). 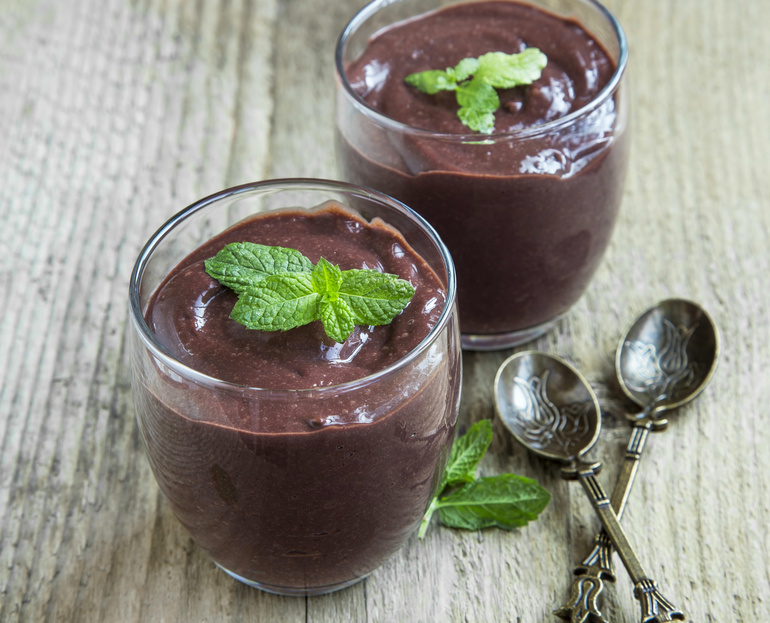 Place all ingredients in a blender and whizz for just 15 seconds. And, boom, there it is. Add more water for more of a drink, less water for a dessert-type vibe (i.e. mousse). Either way, 220 calories of nothing but the good stuff. Healthy fats, greens, protein, it’s all good baby (with even more smug factor). So there you have a few quick and easy ways to combat your sugar cravings head on. If you hydrate optimally, plan your food wisely with a bit of preparatory foresight in advance, you don’t need to let sugar rule your life. Instead, you can control your food intake and because of it, achieve your optimal energy levels, body composition and what is more important; sustain that lifestyle indefinitely. p.s. Please let me know what you think about the ideas above and especially let me know what you think about my Chocolate Mousse Shake. Hopefully they help in some way to improve your life and help in your quest for (more) awesomeness. I’d love to hear from you so please comment below or on my Facebook page. Ziegenfuss, T.N., Hofheins, J.E., Mendel, R.W., Landis, J. and Anderson, R.A., 2006. Effects of a water-soluble cinnamon extract on body composition and features of the metabolic syndrome in pre-diabetic men and women. Journal of the International Society of Sports Nutrition, 3(2), p.45. Avena, N.M., Rada, P. and Hoebel, B.G., 2008. Evidence for sugar addiction: behavioral and neurochemical effects of intermittent, excessive sugar intake. Neuroscience & Biobehavioral Reviews, 32(1), pp.20-39.